Be only the second owner of this beautiful, 3 bdrm home on a 1 acre lot on a quiet cul-de-sac! 6 miles from downtown Dahlonega. Move-in ready w fresh paint throughout. 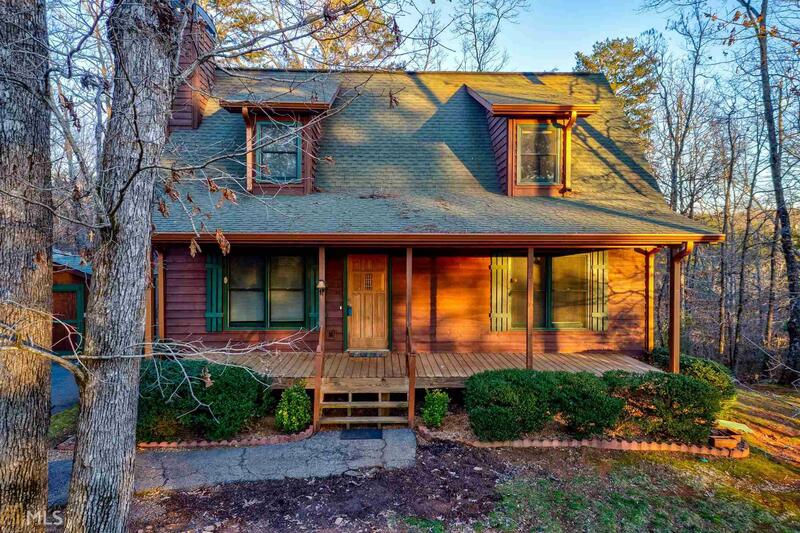 Fireplace, back deck overlooking the woods, & spacious rocking chair front porch. Master bdrm feat. walk-in closet & master bath. Laundry located off kitchen. Spacious bdrms & bathroom upstairs. Unfinished basement with full workshop & shelves for storage (it's plumbed.) Addtl storage shed by driveway. Pine floors on main level recoated & carpets cleaned Jan 2019. Exterior paint 2017. HVAC replaced 2017.